I was recently asked to review a pair of the Ministar Bootz which are available at Target and Target.com. and I gladly said YES! 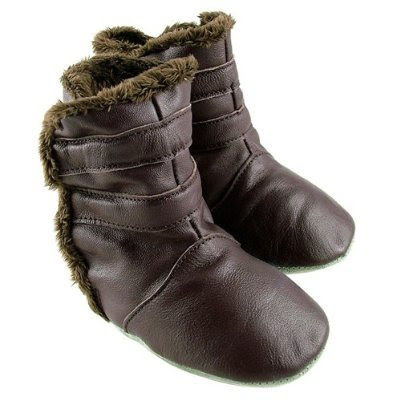 I love soft soled shoes like this for my son, these Ministar Fur Bootz are easy to put on and keeps my sons feet very warm. They are so easy to put on he puts them on sometimes by himself (makes him very proud) On cool mornings they are great to slip on him to bring his older brothers to school. The fur is very soft and seems like they would be very comfortable. They are available in sizes Small 0-6 months, Medium 6-12 months, Large 12-18 months, XL 18-24 months. (**Note, the Beige do not come in size XL**). These adorable fur-lined boots are available for $19.99! 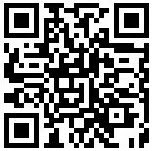 These great shoes are distributed by RT Nash, Inc. who also distribute for Silly Billyz US and Canada and Bobux US and Canada. Make sure you follow @MINISTARBABY on Twitter! My favorite style is the slip-on bow simple leather shoes. Visit Target.com and tell me your favorite style of MiniStar shoes. One winner will be chosen ! I will be using a random number generator to select the winner. Contest ends at 11:59pm CST on 10/22/09. If the prize is not claimed in 48 hours a new winner will be chosen.Contest open to U.S. residents only. I love the Ministar Fur Bootz - Ice Pink. Great for winter! The Baby Hearts and Bows Appliqué Slip-On Leather Shoes - Violet Multi are cute. My favorite are the Ice Pink Ministar Fur Bootz. We have both the pink ladybug and the butterfly ones and my daughter wears them with everything. I haven't seen the boots yet at our target but when I do, I will be getting the ice pink ones for her. I like the Ice Pink ministar fur boots!! Thanks for the chance. I love the Ministar Baby Shoe, Pink Lady Bug ,too cute!! I like the Ministar Baby Shoe - Chocolate Cow. Very cute! The Race Car shoes are cute. I absolutely adore the Simple Bow Slip-On Leather Shoes. Ugh, thought I entered the mandatory one first but apparently the 20 mth old helped me delete it LOL... I love the Ice Pink boots.... they are my fave of all the shoes! OMG - Those boots are just to die for. ADORABLE!!! I like the Ministar Baby Shoe - Pink Lady Bug. Thanks! Ministar Fur Bootz - Ice Pink are the cutest. I like the Ministar Fur Bootz - Ice Pink. love the baby smiling monkey! I love the Ministar Baby Shoe - Pink Lady Bug! Thanks for the chance! The Pink lady bug shoe is the cutest! I really like the "Butterfly" pair, OMG are these shoes adorable! I love the Ministar Fur Bootz in Chocolate. Thanks for the giveaway! I love the Pink Lady Bug shoe! Love the Baby Hearts and Bows Appliqué Slip-On Leather Shoes - Violet Multi! Super cute! Thanks! I love the Ministar Fur Bootz - Chocolate - thanks! I love the Ministar Baby Shoes - Butterfly! OMG@ I would totally get the pink ones!